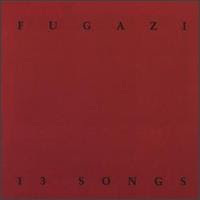 The "7 Songs" EP is what many people say is Fugazi's best work. I don't know why but that never made sense to me. While I think this is a great record it is by no means their pinnacle. That being said every song is great and is an incredible first album. I agree with you comments on "Glue Man." "Waiting Room" and "Bad Mouth" are great songs but sound nothing like Fugazi if you think about it. I think hearing this after the next three records may have caused me to think that it wasn't as great as I had heard about. But then again it is an incredible album. I am just talking about in the context of their own catalog. Oh, and "Give Me The Cure" is just an insane song. Stumbled on all you fugazi reviews. Great stuff! Didnt see an argument review though..